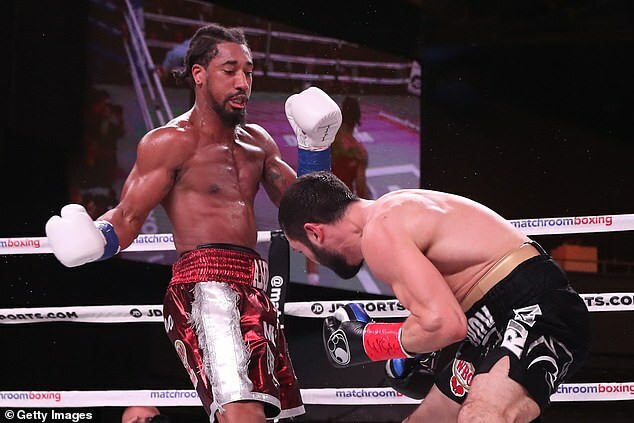 Demetrius Andrade had such an easy time in the first defence of his WBO middleweight title that his opponent might have done his best fighting while shoving away the referee who had finally put a stop to it. He remained unbeaten Friday night, stopping Russia‘s Artur Akavov in the 12th round, and afterward said he would ‘destroy’ former champion Gennady Golovkin. Otherwise, nearly everything of note was landed by the champion from Providence, Rhode Island, in the first defence of the title he won in October. 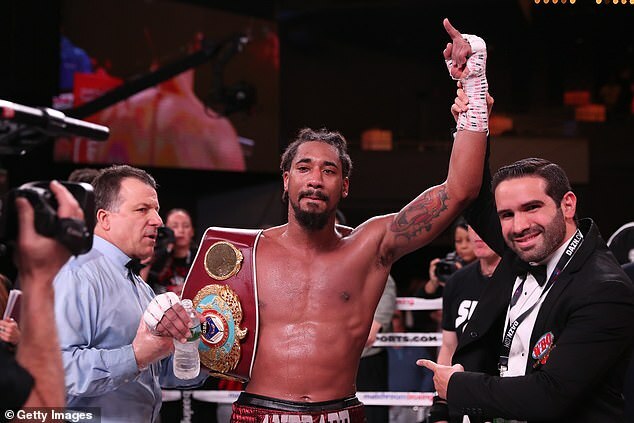 Andrade owns the lone major middleweight belt that won’t be on the line when Canelo Alvarez faces Jacobs on May 4 in a unification bout that was announced Thursday, and will hope for bigger fights in the future than the mismatch at the Theater in Madison Square Garden. This one wasn’t quite that easy, but it certainly wasn’t tough for Andrade. 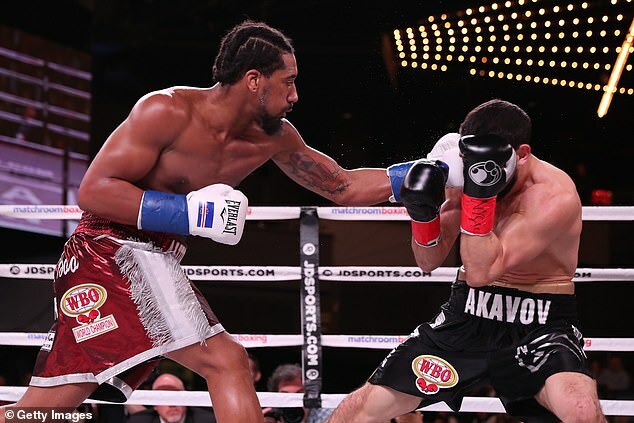 Andrade landed a good flurry of shots along the ropes late in the fourth round, but otherwise never appeared to really hurt Akavov. He didn’t need to, as his effective right jab kept the challenger from ever getting into attacking positions. 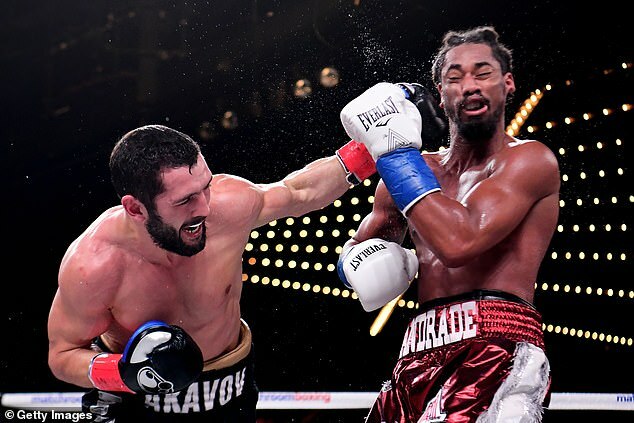 Akavov kept shaking his head after Andrade landed, either trying to show he wasn’t hurt or frustrated that he was getting hit so easily with no apparent plan to change things. 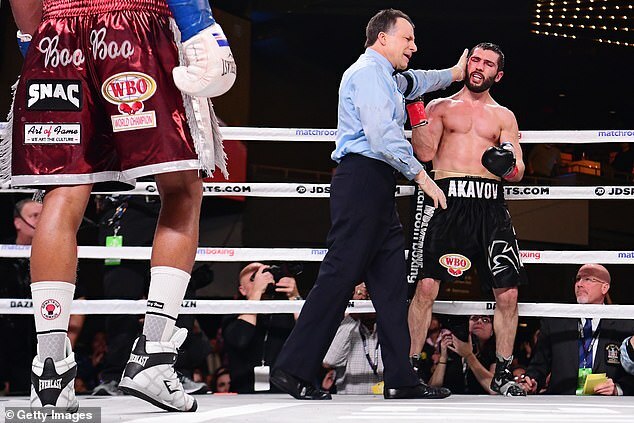 Akavov did surprise Andrade with a good combination in the ninth for his most effective moment of the fight, winning the round on all three judges’ cards. 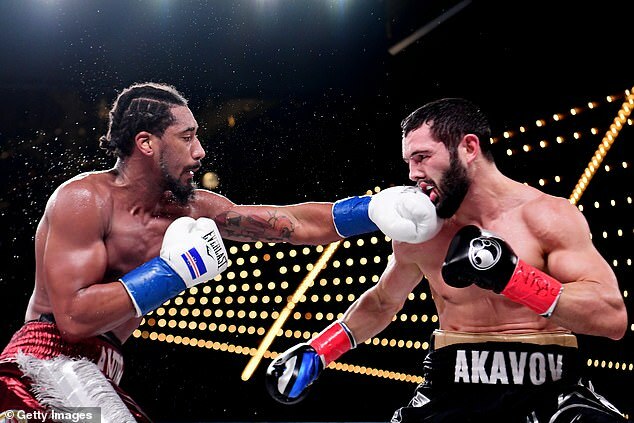 But Andrade resumed his dominance in the 10th, when Akavov was cut over the right eye by an accidental headbutt.